The fourth studio album from gospel vocalist Mandisa, 2013's Overcomer, features more of the former American Idol contestant's positive, spiritually minded music. The album follows up Mandisa's Grammy-nominated 2011 album, What If We Were Real. Overcomer also finds Mandisa reuniting with producer Christopher Stevens, who contributed to her last two albums. Mandisa has spoken publicly of her struggles with food addiction and weight loss, and her albums often center around themes of empowerment and faith. Overcomer is no exception, and the album -- as evidenced by the video for the title track single, which features former Arizona Congresswoman Gabrielle Giffords -- is filled with hopeful songs built around the message that working through our personal struggles can make us stronger. 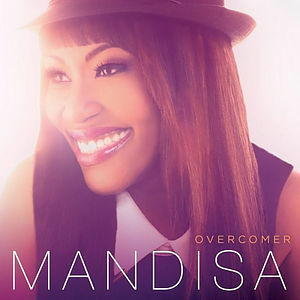 Overcomer by Mandisa was published by EMI in August 2013 and is our 5639th best seller. The ISBN for Overcomer is 5099960707420. Be the first to review Overcomer! Got a question? No problem! Just click here to ask us about Overcomer.